We offer a variety of services to our customers. If you have a need for a service not listed here, please feel free to call us and we will be glad to discuss it with you. Sometimes good vehicles start to show their years. 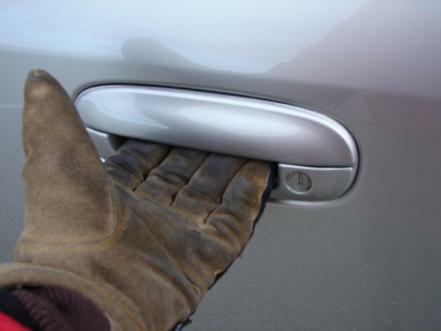 Handles wear out, hinges get loose, moldings and emblems fall off, windows stop working, switches don’t operate, mirrors get broken and many other problems. Drop by and we’ll gladly replace those parts. You can even bring your own and we’ll install it for you. Paintless Dent Repair is the art of “massaging” dents out with special tools, from the back side of the panel. This allows for a repair, without the high cost of paint. We can offer this service when it fits your needs. From a Basic Quick Clean to a full, extensive Makeover, we are here for all your vehicle care cleaning needs. We have a few options to choose from which includes a deep clean inside and out. We can also make your old paint look close to new again with a touch up and machine buff. Click here for price list. Want a change, but can’t afford a full paint job? Applying a two-tone paint scheme allows a change without the added costs. Inside the doors, hood, trunk, and other panels does not have to be refinished; therefore, there is less paint and assembly work! When you’ve been involved in a collision, there are many things to worry about. Don’t let repairs be one of them. 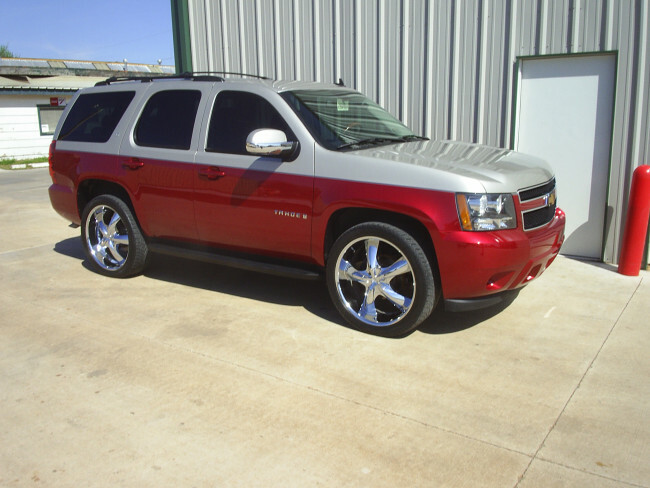 Leave your vehicle with Body Worx, and we will restore it to pre-accident condition. From minor damage like scratches, rock chips, scuffs, bumps, and marks to storm damage from hail or tornado to major collision repair. That includes mechanical, frame, body, glass, wheels and tires that may be wreck related. If it’s not our specialty, we’ll send it out to a qualified source for you. We do take on a few restorations each year. In order to maintain the integrity of our work, we will only take on specific candidates who are interested in a complete and thorough repair process. 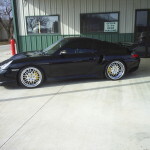 We specialize in Porsche repair and restoration. Feel free to call Cory at Planet 9-Eleven 405-330-9116 for a reference. Ranch Hand offers a full line of quality truck accessories for full size Ford, Chevy, GMC and Dodge pickups and sport utility vehicles from half ton and up, including grille guards, front bumper replacements, back bumpers, headache racks, winch attachment systems, tool boxes, and steps. World-class engineering and extraordinary design capabilities have made Katzkin the world leader in automotive interiors. Exercise your freedom of choice. Complimentary coffee, tea, hot chocolate, sodas, and water. After hours covered key drop box and parking. Comfortable waiting area with flat screen TV. Authorized distributor of Ranch Hand front ends, bumpers and grills. Authorized distributor of Katzkin Interiors. We accept Visa, MasterCard, Discover, PayPal Cards, personal check, insurance checks, and we still accept cash. We will work with all insurance companies on your behalf. All makes and models, foreign and domestic. Quality work at a fair price (definately worth mentioning twice). Check us out with the BBB.